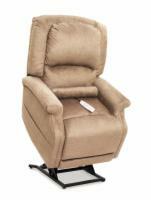 All Lift Chairs adds walk-in conversion kits! December 29 – Raleigh, NC -- All Lift Chairs, an online retailer of lift chairs and mobility aids for the disabled and elderly, is excited to announce their new line of Walk-In Conversion Kits. “The AmeriGlide conversion kits provide people with an affordable way to convert their bathtub into a walk-in tub,” says Tim Ziehwein, Vice President of Sales for All Lift Chairs.